This guest post is part of our new blog series on Comics, Race, and Society, edited by Julian Chambliss and Walter Greason. Brother Voodoo. Source: Comics Amino. Graphic literature, including comics, cartoons, and sequential art, reveal discursive practices that give meaning to race, religion, and national identity in different periods and contexts. In this post, I discuss the representation of Africana religions, coded as Voodoo, in 20th century graphic narratives. Consider this cover from a World War II era series called Jungle Comics. With the savage wilderness as its backdrop, the image dramatizes the terrible power of Voodoo in its deadly enactment, as seen with the menacing, dark figure and his supine white female captive. The violent tension of this scene, and its fierce rupture of the present, juxtaposes the branding of African aesthetics with a Kota sculpture, an ancestral mask, ceremonial accouterments, and well-formed, naturalized bodies. And although the text shouts suspense, we know it will not end well for the black man. 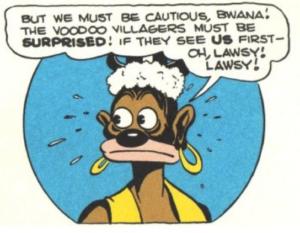 Although the term Voodoo does not come into common usage until the 20th century, its rendition in graphic narratives originates with portrayals of blacks as denizens of an imaginary geography, as depicted in late 19th century newspapers and magazine cartoons with images that refracted “Africa” through a prism of grotesque and derogatory visions of its people. Since the diminution of non-Christian religions justified western imperialism, I also argue that theological alterity consolidated American whiteness into a shared national identity that disaffected black spirituality. 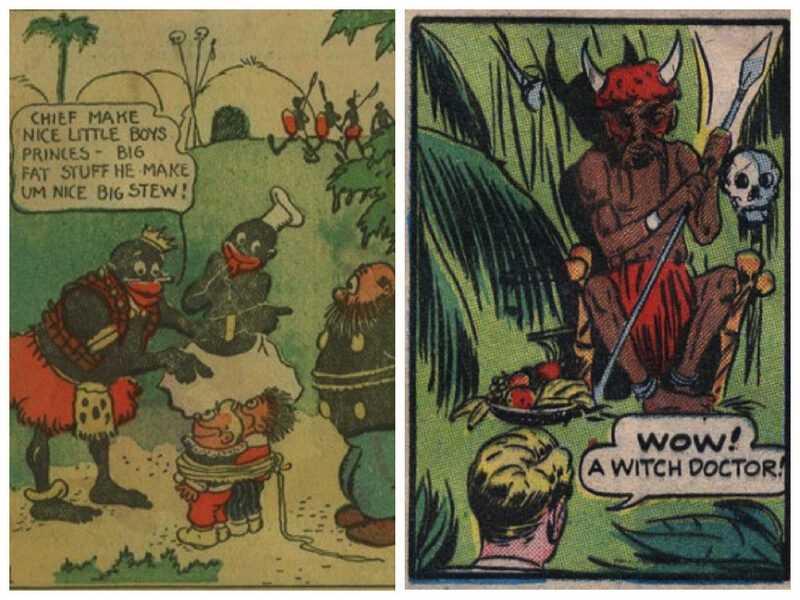 Comics and cartoons stereotyped African religious authorities according to a visual rhetoric that cast indigenous religions as strange and uncivilized, personified by barbaric fetish priests, cannibal kings, and witch doctors. Such contrived views of Africana religions formed the basis of later representations of black spirituality as Voodoo. In the first four decades of the 20th century, Africana subjects assumed conspicuous roles in newspaper “funnies” and animated cartoons. Promoted far and wide for comedic purposes, Voodoo morphed into a farcical symbol of religious debasement and superstition. It appeared more ubiquitously in consumable products as the technologies of mass culture expanded from print into film. It is noteworthy that the American theatrical cartoon industry endorsed flagrantly racist graphic formations even as it parodied black bodies and behaviors for entertainment and profit. 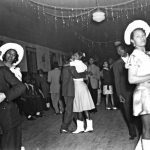 The most enduring gags and memes manifested in stereotypes that elided distinctions between African and African-based religious cultures, as with the 1938 minstrel cartoon film Voodoo in Harlem. Visible signatures of black vernacular religion were ridiculed as little more than primitive folk practices, retrograde supernaturalism, and exaggerated fears of ghosts, Conjure, and witches—a hilarious yet harmless kind of Voodoo. 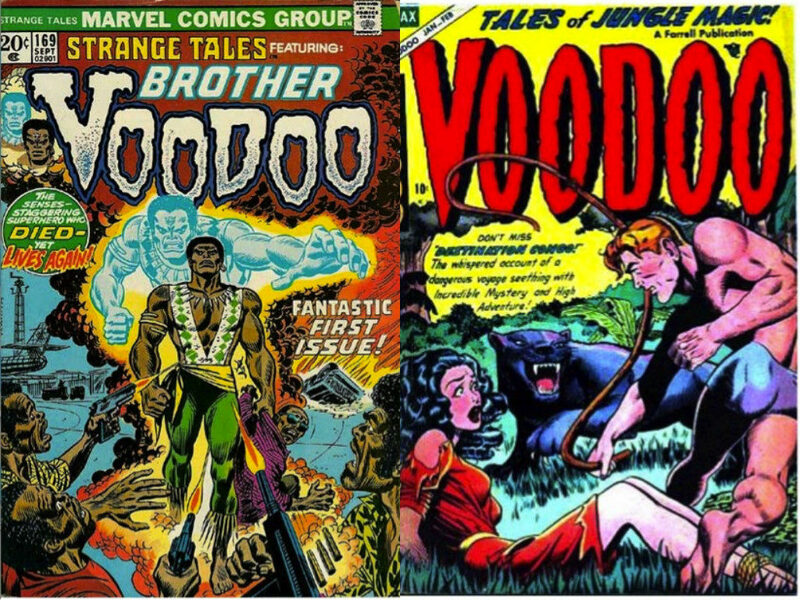 Voodoo Comics, 1973 (left) and 1952 (right). 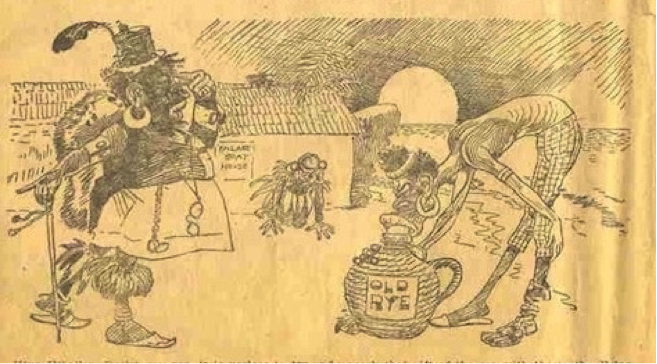 By the mid-twentieth century, Voodoo was rendered as less benign and more dangerous, and its depiction in graphic narratives was no laughing matter. 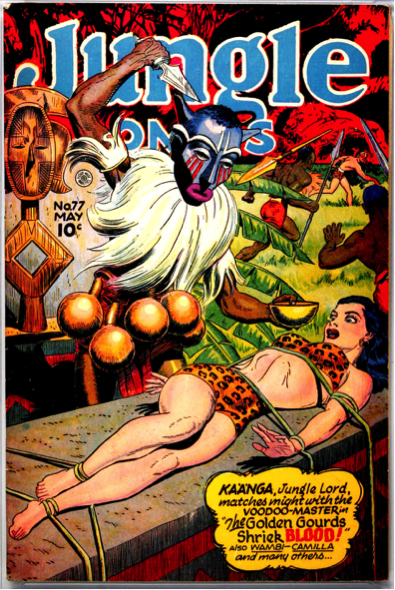 Prior to the imposition of a stringent code of industry ethics and standards in 1954, publications such as Ajax-Farrell’s Voodoo Comics show cased macabre elements that suited the conventions of popular horror fiction. Voodoo joined spectacles of physical desecration to fantastic elements that linked African-based ritualism to human sacrifice, cannibalism, and a gruesome iconography of skulls and zombies. 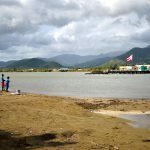 The turn to Voodoo as an Africanized horror trope in the twentieth century coincided with U.S. military interventions in Haiti and elsewhere in the Caribbean, where black diasporic religions had historically rooted in post-slavery communities. An auxiliary to nationalistic propaganda, these forms of what I call graphic Voodoo underwrote ideological rationales for the expansion of American empire and projected domestic racial anxieties into the production of nightmarish imaginaries. 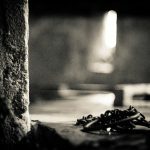 Representations of Voodoo inhabited visual and narrative spaces that encompassed whiteness in jeopardy and blackness as a source of sinister malevolence, manifesting the prevalent and consumable themes of avenging violence, terror, and retribution that were constituted in the horror genre. Donald Duck Hoodoo Voodoo, 1949. In the latter part of the 20th century, Voodoo’s depiction in graphic media telegraphed American uncertainty in an increasingly globalized cultural and geopolitical milieu that fostered the Cold War, nuclear proliferation, Vietnam, and the rise of revolutionary and anti-colonial independence movements in the Third World. In 1973, the Marvel comics supernatural horror series Strange Tales introduced a character by the name of Brother Voodoo. A transnational figure who drew from the broad lexicon of western renderings of Africana cultures, Brother Voodoo deployed Voodoo as dangerous and subversive magic, but with a twist: resignified, the Haitian religion Vodou became the weapon of choice in the superhero’s arsenal of enhanced abilities. 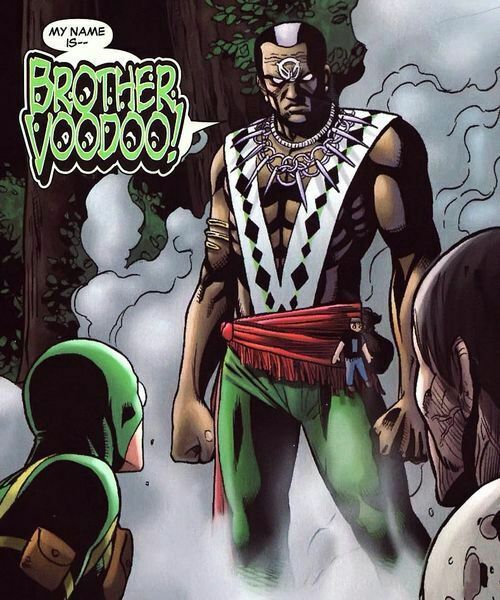 The Brother Voodoo character, a repatriated black psychologist engaged in spiritual warfare against zombie gangs and evil bokors, enacted dominant tropes of comics’ masculinity while complicating African-based religiosity. Voodoo was used to appropriate a repertoire of superpowers that featured the divinities known as lwa, the ritual technology of spirit possession, and artifacts of protection and defense called wanga. Left: The Katzenjammer Kids, 1906. Right: Jumbo Comics, 1938. 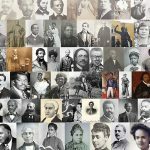 It is noteworthy that the appropriation of Voodoo as an Africanized superhero ability in the field of representations occurred at the same moment that graphic literatures added themes of black protest, political unrest, and cultural nationalism into their historical framing of the American social backdrop. In the last decades of the 20th century, Voodoo-inspired characters in comics would become more commonplace, portrayed with the likes of D.C.’s Papa Midnite (1988) and Jim Crow (1995) from Vertigo, who personified New Orleans’ distinct styles of African-inspired spirituality. Finally, with black female characters such as Vixen (1978), an African model who acquires her extraordinary abilities from a sacred totem, and Empress (2000), a crime fighting mambo (Vodou priestess), Hoodoo worker, and servitor of the Yoruba orisha Oya, Voodoo was generalized so as to fulfill a triad of meanings that were primarily useful for character flair. 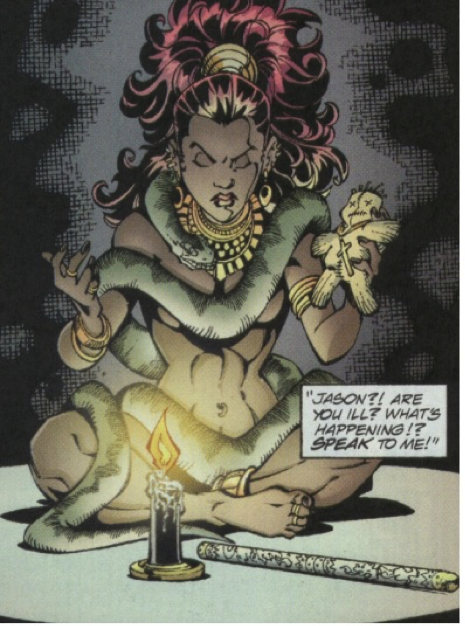 Although the formation of Voodoo as a symbol for black power developed in response to nascent demands for black representation in graphic literature, it has remained a stand-in for essentialized African religion – albeit the locus of supernatural empowerment, the expression of black identity, and a source of spiritual and cultural heritage for comics characters. These representations of Voodoo have highlighted the tensions between worldview and imagination in referencing race, religion, and spirituality in visual and narrative forms. In their creation of Africana subjects, comics, cartoons, and other graphic media effaced the distinctions between African-derived traditions such as Haitian Vodou, black American vernacular spirituality, and indigenous African religions, and created an oblique, mutable trope that was viewed as alternatively benign and dangerous, ambiguous and inspiring, in its display of affecting presence and power. Yvonne Chireau is Professor in the Department of Religion at Swarthmore College. She is the author of Black Magic: Religion and the African American Conjuring Tradition (2003) and the co-editor of Black Zion: African American Religions and Judaism (1999). 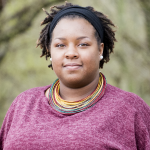 She blogs on Africana spirituality, magic, and religion at The Academic Hoodoo. Follow her on Twitter @Conjurehealing.